Storytelling is a big buzzword in marketing these days, and there are plenty of corporate storytelling examples to prove how powerful it can be when its done well. In the digital age, winning the marketing game is all about getting an audience to connect with your brand – and the best way to do that is with a story. Humans are naturally drawn to stories because they elicit emotion – and emotion is what sells. Studies show positive emotions toward a brand have far greater influence on consumer loyalty than trust and other judgments based on attributes. Advertising research reveals emotional responses to an ad have far greater influence on decisions than the ad’s content – by a factor of 3-to-1 for television and 2-to-1 for print ads. It isn’t an easy task to create content that tells a compelling, emotionally engaging story, but when brands pull it off, it can be truly exquisite. Here are some of the best corporate storytelling examples we’ve ever seen to help demonstrate just how powerful an awesome story can be. Weight Watchers has a leg up in the emotional storytelling world because the nature of their product is emotional – it’s about people making better choices to improve their health and feel better about themselves. But the company stepped up it up with its “Awaken Your Incredible” campaign. It’s not just your average ad about weight loss – it taps into the underlying reason people diet – to get to be the very best version of themselves; a version they have always had within them that got lost along the way. It works because they found a way to make their brand less about a product and more about a feeling. 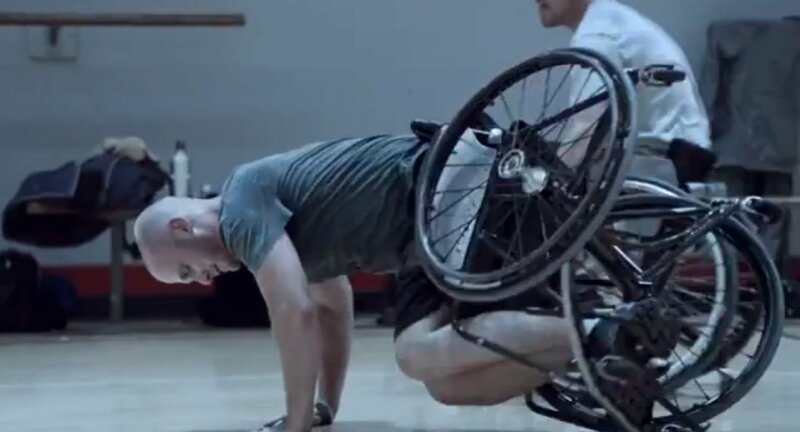 Guinness’ “Wheelchair Basketball” ad was a slam-dunk for one very important reason: it made choosing a beer a reflection of your general values in life. The ad depicts a group of men playing wheelchair basketball, an already inspiring thing to witness as it elicits thoughts about disadvantages, resilience, compassion, community and more. But then all but one of the men stand up, and you realize they have chosen to play in wheelchairs with their friend so they could all play the same version of the game. The voiceover is the clincher – it reminds us that the choices we make reveal the true nature of our character. Which beer will you choose from now on? Apple has always been great at storytelling but, IMHO, their “Your Verse” ad is one of the best corporate storytelling examples to date. “What will your verse be?” is the question posed in this ad, featuring a voiceover by Robin Williams. It’s a speech he gave in the movie Dead Poet’s Society and it cuts right to the heart. It gets you to stop thinking about geeky tech products for a moment and to start wondering how you will contribute your own verse to the world – and what that verse will be. Sure, it’s asking you to consider all the different ways you might use an iPad, but it also gets you to walk away thinking about your life and your contribution to the world in a very poetic way. 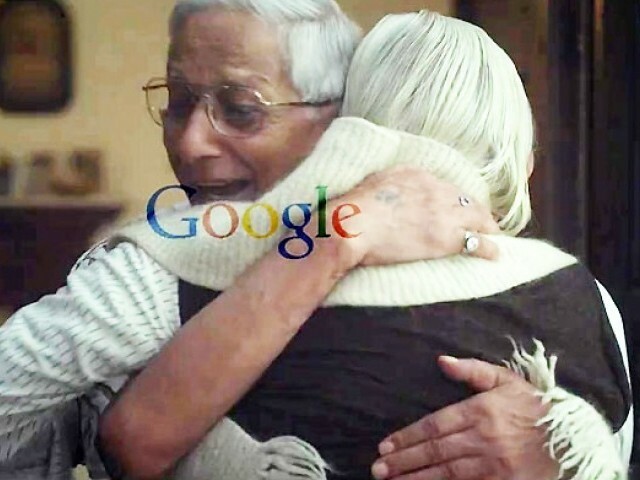 Google’s Reunion ad is a stunning corporate storytelling example of how brands can escape all preconceived notions their audience might have of them and deliver a message that hits you right in the gut. It starts with a man in India explaining a childhood friend to his granddaughter – he and the friend hadn’t seen each other since India and Pakistan became separate countries and they were forced to leave each other. The granddaughter is moved by the story and uses Google to track down the friend and arrange a reunion and…well, I would say more, but I’m getting choked up just writing about it. Watch it for yourself. John Deere publishes a print and digital magazine called The Furrow, which is read by over 2 million people around the world. What does a farm equipment company write about, you might ask? Well, all things agriculture, of course, but they have also managed to create a lifestyle magazine for folks who are interested in farming. This is a diverse group and it’s not such an easy task to find material that will appeal to all of them. But they do so by finding interesting farmers and farming projects and telling their stories – from well-written stories about the beef industry to beautiful photos and coverage of gourmet chocolate production on exotic islands. The content works because it connects their brand to individual stories and gives it a wider appeal. Nike is perhaps the #1 brand when it comes to leveraging storytelling to win over their audiences. They’ve been doing so since the late 90s when Michael Jordan, a hero of kids and grownups worldwide, was their spokesperson. But perhaps their best approach was their “The Chance” ad, which follows the story of an aspiring young soccer player in NYC. Narrated by Spike Lee and gorgeously filmed, the ad reminds us that there is a possibility for every one of us – as long as we persevere, and wear Nikes. Lego took advantage of emotions running high around the holiday season and released their beautiful “Let’s Build” ad featuring a father and son bonding over their Legos. The narrator is the young son, who has a sweet British accent to boot, and he describes the best possible relationship between a father and son and shows the two of them creating fantastic skyscrapers with their enormous Lego collection. For a second you forget that it’s advertising kids’ toys because all you see is the perfect home life kids, moms, and dads are always dreaming of. Airbnb is known for their awesome content – gorgeous photos, stories from real people, inspiring wanderlust, etc. etc. What they do right is get at the core of why humans are alive – to have experiences and to enjoy them. Their content focuses on people, both the ones who own homes and the travelers who are using them. 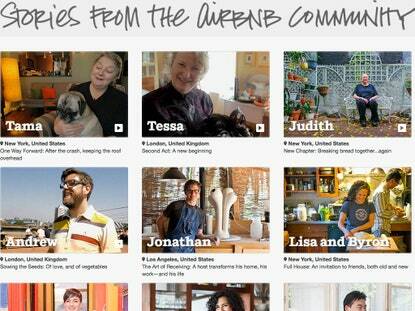 They have an entire section of their website called Airbnb.com/stories and it’s filled with videos and bios of hosts and guests around the world. It’s an incredible platform for the brand to tell story after story and let the audience see real people enhancing their lives as a result of Airbnb’s services. It’s a great corporate storytelling example because it lets their audience tell the stories for them. Harry’s is a great corporate storytelling example because it shows how one brand was able to crack through a heavily saturated market with a good story. They sell shavers and shaving products and, as a relatively small company, have managed to compete with the longstanding giants like Gillette and Schick to gain a $2.4 billion share in the market. Using short vignettes of a man having more time to cook breakfast because he cut down on shaving time or a man spending a weekend alone at a lake house they have captured moments that make viewers connect and feel things. They keep their story simple – the picture of a simple guy with a rich life. This purveyor of affordable yet fashionable eyewear has made a name for themselves by developing content that is a) fun and b) paints their brand as trendy and chic yet socially conscious. They crowdsource content from their audience, so you get to see real-life examples of customers trying on glasses and choosing the right pair – this helps make an otherwise mundane wardrobe choice more remarkable. And they also distribute free glasses to people in need and craft beautiful ads around the people who get to benefit from such a generous gift. Dove does a lot of stuff right, including their “Real Beauty” campaign, which focuses on changing society’s perception of beauty and individuals negative perceptions of self. But one of their other campaigns successfully managed to include men in its awesome storytelling approach. Beauty products are often a hard sell for men unless they’re specifically geared towards them, and they found that the “Real Beauty” campaign had alienated their male customers even further. They launched a “Men Care” campaign, which tells a real, touching story about a dad in the military in Afghanistan that finds it hard to be away from his baby. Dove arranges to bring his family to him and films the heartbreaking reunion. What does this have to do with soap? NOTHING! But Dove took advantage of the Father’s Day holiday to tell a story that connected with dads around the world. Keep it simple, you should be able to describe a story in one line. Once you find the human element of your brand, you can start to think about how your company or product can make people’s lives better and craft your story around that. If your customers connect with your story on an emotional level, they’ll want to be a part of it. And that is the whole point of content.